Republican presidential candidate Mike Huckabee, who this week called the IRS a “criminal enterprise,” says the announcement Friday that former agency official Lois Lerner will not be charged for allegedly spearheading the targeting of conservative groups is not unexpected. “I don’t think any of us are that surprised. The Justice Department is very selective in how they pursue criminal charges. 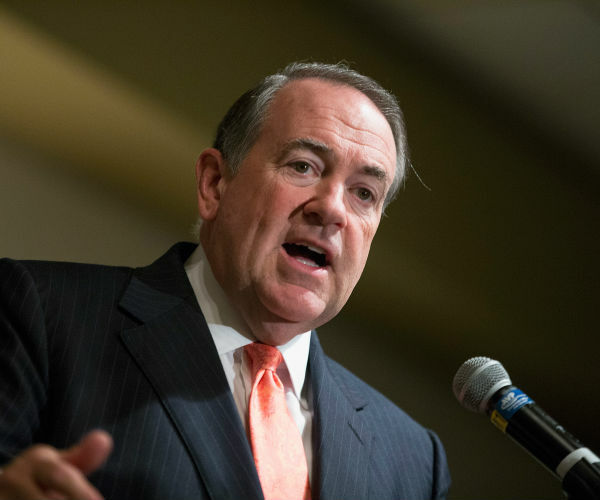 What they are good at, what the IRS is good at, is harassing Americans who are innocent,” Huckabee, the former governor of Arkansas, said on “The Steve Malzberg Show” on Newsmax TV. On Friday, the Justice Department told Congress it is ending its two-year probe into whether the IRS targeted conservative, tea party and religious groups. It said Lerner, who oversaw screening applications from groups seeking tax-exempt status, will not be charged. Nor will her former staff. During the investigation, the IRS claimed to have lost many of the emails to and from Lerner, somewhat thwarting the probe. “It’s stunning to me that this very IRS that demands I keep every receipt so if they audit me, I have to prove that I really did pay what I said I paid,” Huckabee said. “But they can lose an entire hard drive’s worth of emails and correspondence and that somehow is perfectly OK, even though it violated every federal protocol there was about record keeping and having proper backups. I just don’t buy it. it would seem that even the corrupt Justice departments under Holder and Lynch could approximate a form of justice.